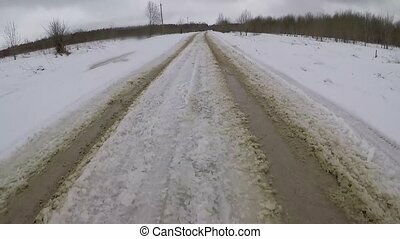 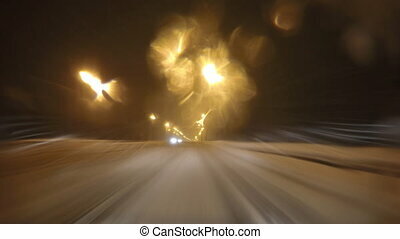 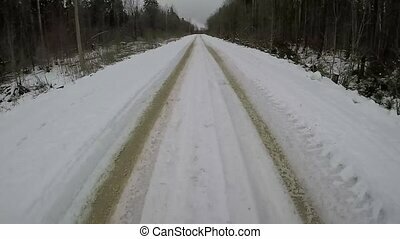 Winter snowfall, cars a slowly driving along road, single pedestrians in puddles in a hurry to get home. 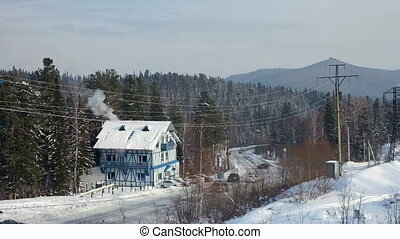 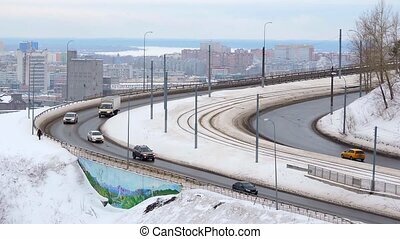 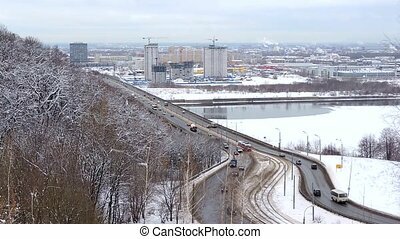 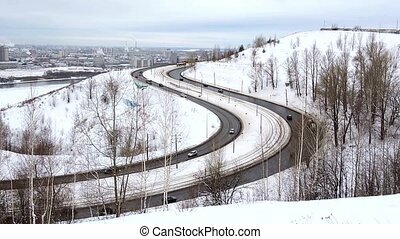 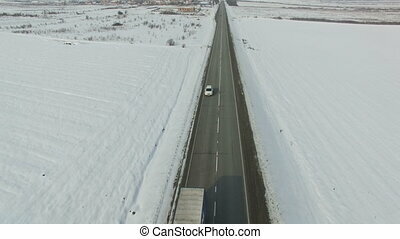 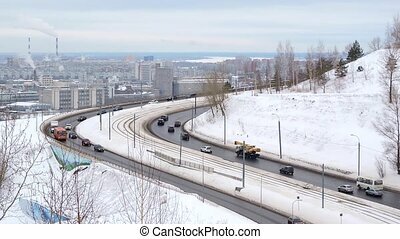 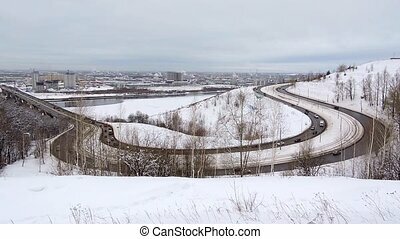 Aerial shot of cars and trucks driving on a road on winter sunny day. 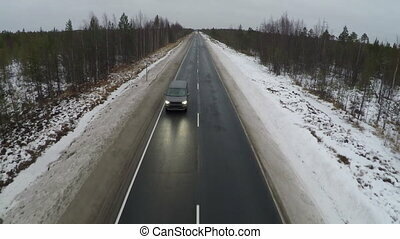 Drone moves along road. 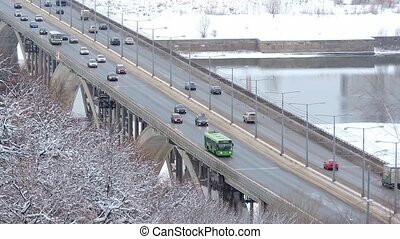 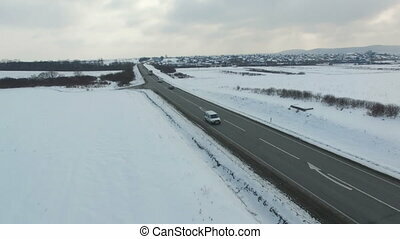 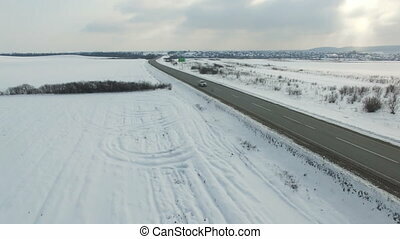 Aerial shot of cars and trucks driving on a road on winter cloudy day. 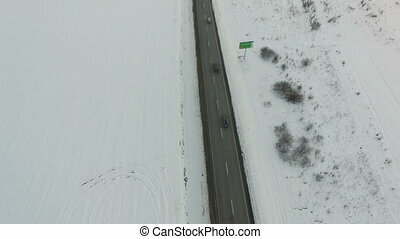 Drone moves along road.